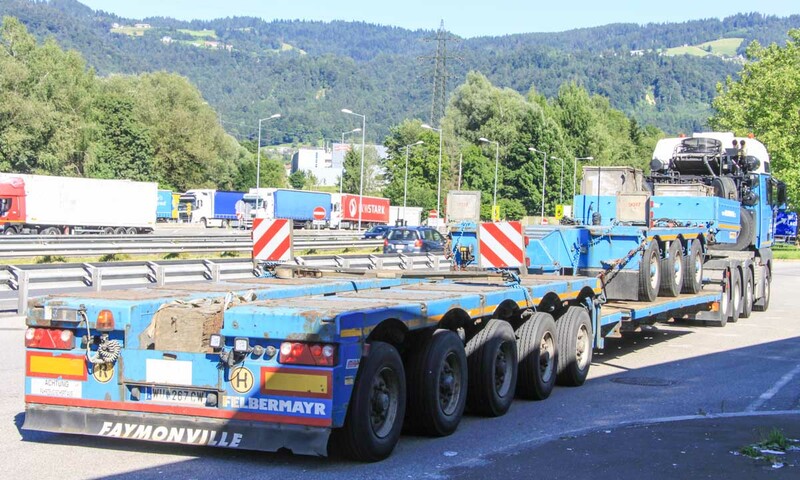 This sharp MAN TGX 41.680 of Bau-Trans from Lauterach (AT) stood parked at the border between Germany and Austria near Lindau (DE). 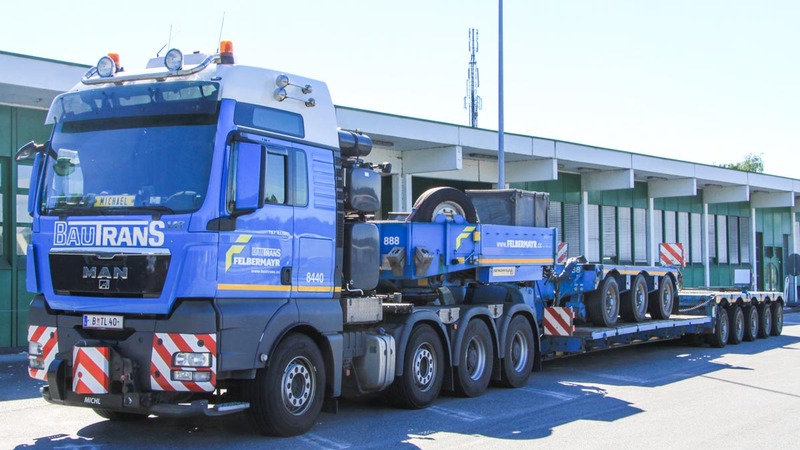 It is a 4 axle heavy haulage truck that is powered by a MAN D2863 16.2 liter diesel engine with 680 hp. 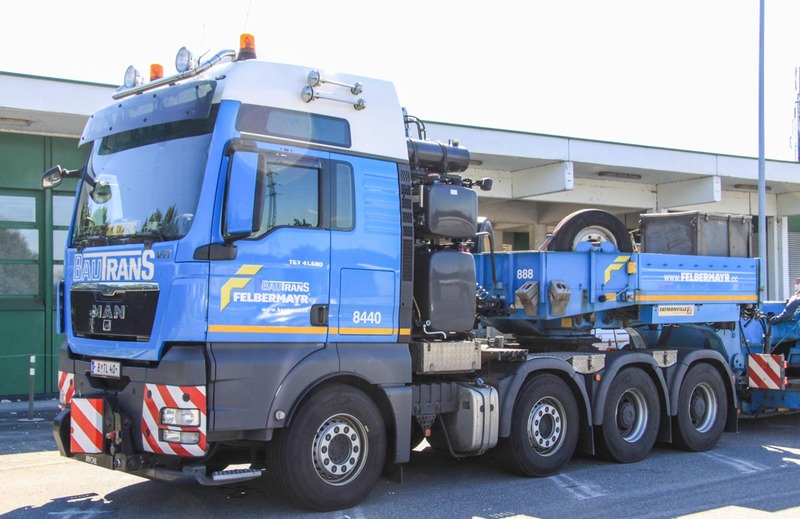 To push transports has the crane a heavy coupling attached to the front bumper. 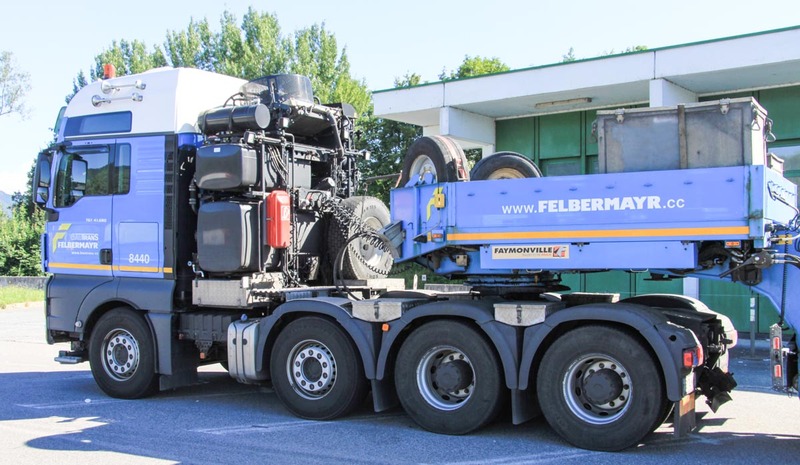 Behind the cabine is a 900 liter diesel tank, a 300 liter hydraulic oil tank, compressed-air tanks and a large cooler for the hydraulic oil. A WSK 440 torque converter is installed. 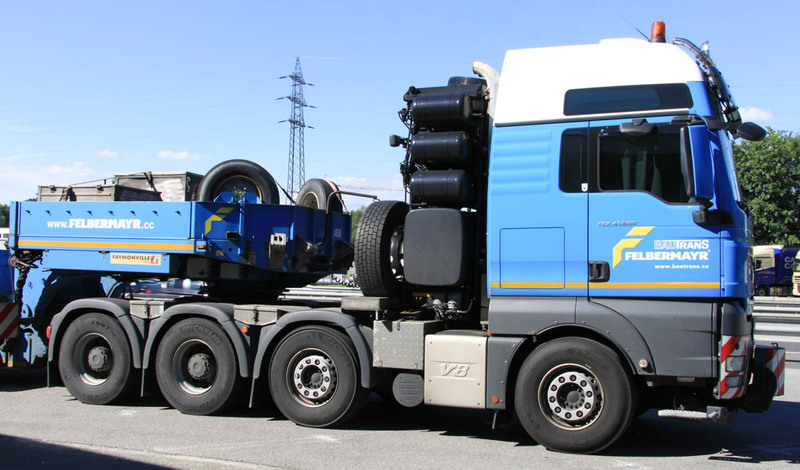 Between the two front axles are the mufler and a storage compartment made. 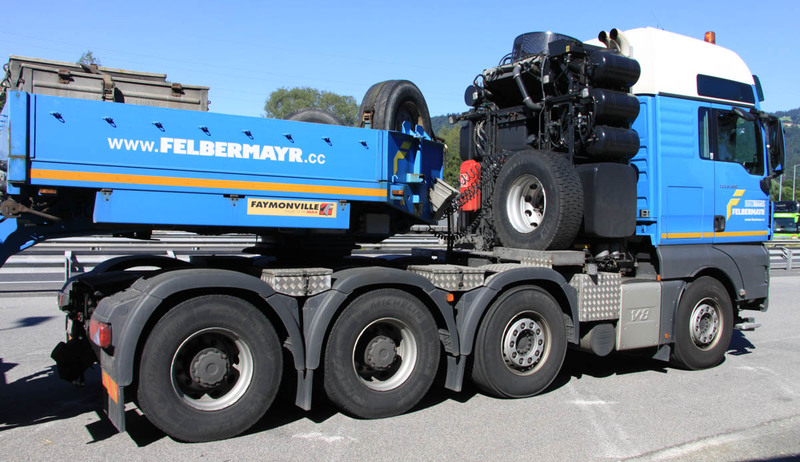 Attached is a 5 axle Faymonvolle low loader, the 3 axle interdolly is loaded on the bed. Behind the front axle are the battery and the AdBlue tank installed.